It goes without saying that when our animals are unwell or diagnosed with a serious condition, there are no boundaries to what we will do to cure our beloved pets. Animal owners are fortunate that now more than ever, there are a vast amount of alternative therapies we can use instead of or as well as conventional medicine. 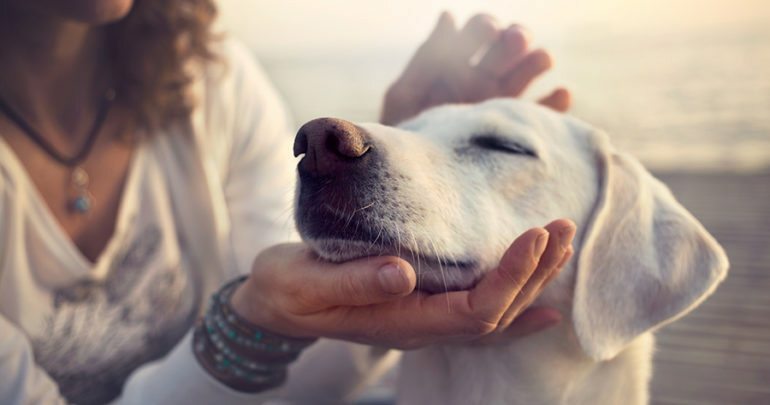 Sometimes traditional veterinary medicine is not enough, so using natural healing modalities such as Reiki, Flower Essences, Crystal Healing, and Traditional Chinese Medicine such as Acupuncture and Herbs can help improve our animal’s health immensely if not completely. How do you choose which healing modality is right for your pet and their condition? Well we can ask your animal. 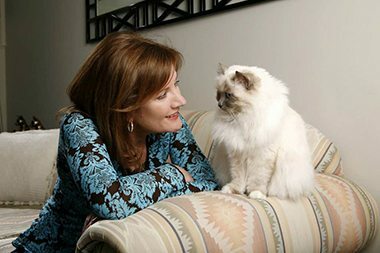 Consulting with an animal whisperer before you begin investing in all these treatments will help to narrow down what is going to be helpful to your pet. 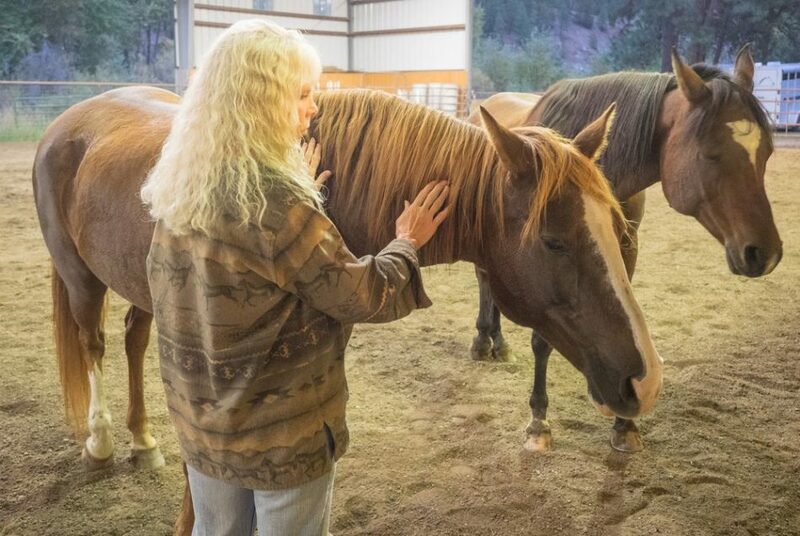 Through telepathic and intuitive communication we can ask your animal how do they feel about each treatment and we can intuitively feel which one may be more beneficial. Many of my client’s animals have given me insights into the type of treatment they need and which ones are actually working. Acupuncture is the process of inserting tiny fine needles into pressure points along the body that trigger flow along meridians or energy lines. It is based on the principle that these meridians in our body influence our organs and structure, with the pressure points being associated with certain parts of our body. By inserting the needles into pressure points it can activate balance and improvement in the organs or systems associated with that pressure point. There has been endless study and research about acupuncture, how it works and the results it produces, for people and for animals. The Australian Veterinary Association monitors the practice of acupuncture on animals and even promotes training for veterinarians as the demand for acupuncture for animals increases from the public. I can safely say I have used acupuncture on my own animals and it has been highly successfully. It can be used for all sorts of conditions, but it particularly works well for senior animals with arthritis. It increases flexibility and gives more fluid movement in the joints. Look for a trained practitioner or your vet may be trained to use acupuncture. Reiki is an energetic hands on healing modality originating from Japan. It involves the practitioner channelling universal life force energy through their hands to the patient. You can target certain areas of the body for the Reiki healing, however allowing it to naturally flow the energy will travel to each area of the body and heal what is necessary. The wonderful part of using Reiki on animals is it doesn’t have to be hands on. If an animal is not comfortable with strangers or is not feeling well, you can administer Reiki from a distance and allow the animal to accept the healing if they wish to. Reiki has proven to clear emotional baggage, get life force flowing again and also remove blockages that your animal may have taken on from you. It has also been known to create calmness in an animal. Find a reputable and experienced Reiki practitioner that works with animals. I have used homeopathy and Chinese Herbs. It has been in my personal experience with my animals and also stories from my clients that Chinese Herbs seems to work wonderfully with animals. Chinese Herbs are a branch of treatment from Traditional Chinese Medicine. They work best to treat inflammation, fatigue and underlying conditions. They work best with a nutrition plan. Chinese Herbs have been around for 1000’s of years, however it is still relatively new to conventional veterinary medicine. 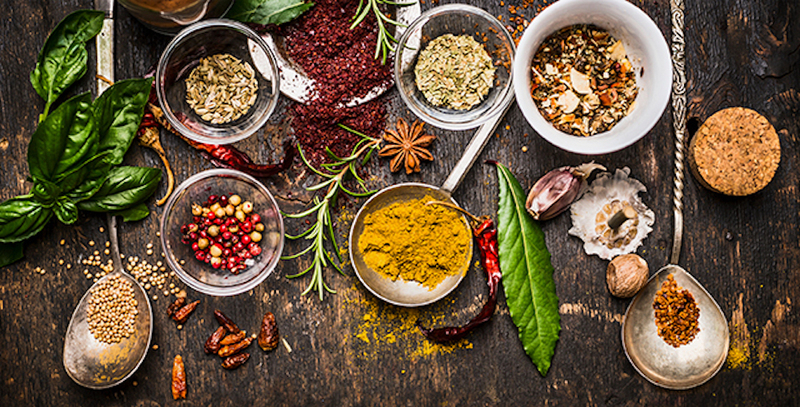 What makes Chinese herbs so unique, is no two herb formulae are the same. Your practicing vet or TCM practitioner will create a customised formula for your animal based on their current diagnosis, symptoms and lack of response to other treatments. It is a long term solution, and your pet’s herbs may be altered as they progress. Bach Flower remedies are very popular to treat your pet’s emotional and mental wellbeing. Their emotional and mental state can influence their physical condition, and sometimes these conditions can clear up very quickly when we address the behavioural issues. 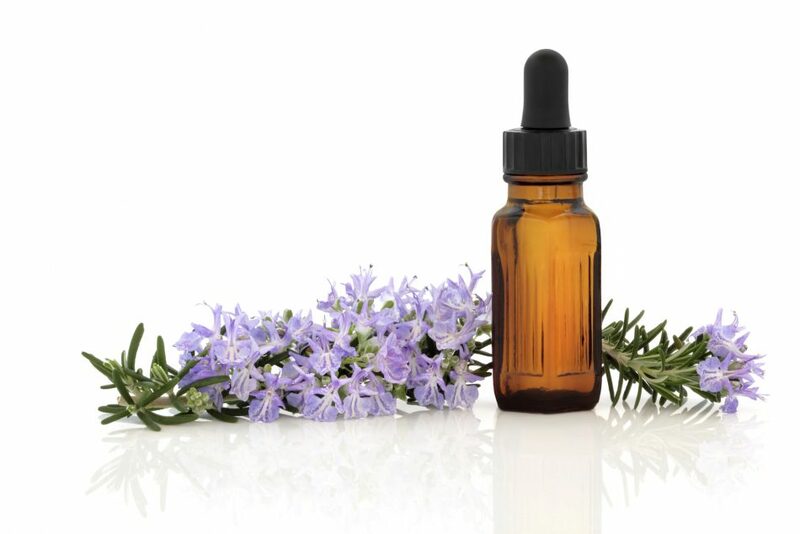 Flower essences, whether you use Bach Flower Remedies or Australian Bush Flower Essences are created similarly to homeopathy, where the vibration of that flower is imprinted into liquid concentrate that can be taken in water or as drops under the tongue. Choosing the right essence is as simple as referring to a Flower Essence practitioner to choose the right flower for your animal’s situation. Rescue Remedy is used for managing stress and anxiety, whereas Walnut is used for dealing with transitions such as moving homes or losing a loved one. I used these essences when moving my animals across the country, and they arrived on the other side calm and serene. These work well with all other treatments conventional and natural as they will not affect existing treatments. Crystals are wonderful tools, they have their own consciousness and magnetic energy contained within them. Crystals have a high vibrational frequency similar to the animals. 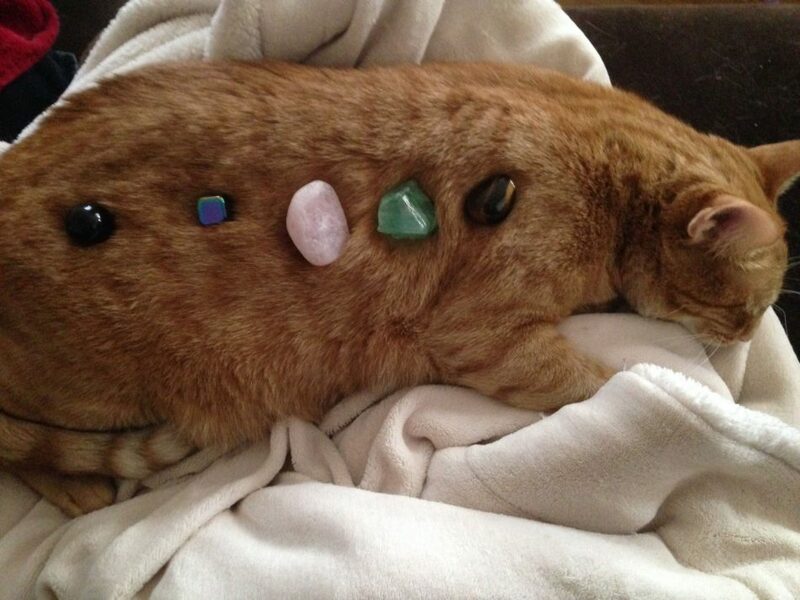 As they are of the Earth, your animals will be happy to have crystals around them for healing too. Certain crystals do have specific uses so it is wise to consult a Crystal Healer or use a crystal guidebook to choose the right ones. Clear quartz is known to be an amplifier of energy, whilst Rose Quartz is known for wounds and injuries. Choosing the right crystal for your animal will contribute to their healing. Yes, it seems simple but it is true. Whilst the actual communication is not a physical treatment, talking with your animals can have tremendous results. There have been many cases where my clients’ animals have come with health conditions (after seeing the vet), only to find out it was derived from an emotional or mental issue. Once the animal has had their chance to speak and we create a plan of action, the animal’s health issues may disappear. So much can be achieved from opening up communication, and that is why we always encourage people to consult with an Animal Whisperer as well as their Veterinarian to get both sides to every story. Previous Post Do You Make Your Animals Happy? Next Post Why Is My Dog A Hoarder?